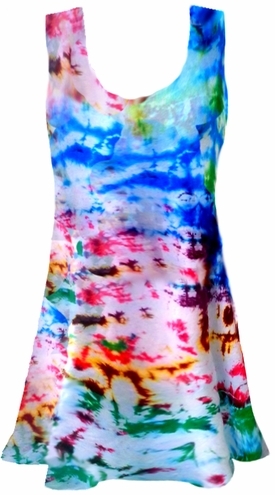 This is a pretty poly/cotton lightweight and very stretchy (like a t-shirt) a-line or princess cut top in tiedye. Each top will be unique. Length will differ on each item, please look at the options in the drop down box.